The Peoples Democratic Party (PDP) has described the ‘new’ pump prices of petrol as announced on Tuesday by the federal government as very meagre and cannot justify the claim on subsidy removal by the All Progressives Congress (APC)-led administration. 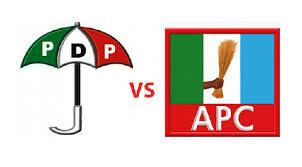 The party said the move was nothing but a continuation of the government by deception being practised by the APC. In a statement by its National Publicity Secretary, Chief Olisa Metuh, on Wednesday, PDP said apart from its deceptive element, the reduction in the N87 per litre pump price to N86 and N86.50 per litre for the retail outlets of the Nigerian National Petroleum Corporation (NNPC) and retail outlets of private business concerns respectively offered too little to cheer. Metuh said: “After heightened expectations occasioned by the promise to review the N87 per litre pump price of petrol made by the administration amid crippling scarcity of the product during the Christmas season, the announcement of this tokenism has come as a disappointing anti-climax, considering that only in January this year, the PDP federal government reduced the pump price from N97 to N87 per litre. “The APC-controlled federal government, consequent upon stepping in the saddle on May 29 this year, considered the market and decided through a supplementary appropriation to pay N413 billion as subsidy to petroleum marketers. In announcing the new pump prices, the APC federal government claimed that the subsidy element has been removed. The question is; how much were we paying for subsidy when the pump price was N87? Has this marginal reduction now knocked off completely the huge subsidy paid at N87 per litre or should it not have only further reduced the size of the subsidy? “The APC government therefore must explain what it is trying to hide. The government could not have earmarked and/or paid a whopping N413billion in subsidy through its 2015 supplementary appropriation when petrol was selling at N87 per litre and now tells us that at N86 or N86.50 per litre, no subsidy will be paid. Is it trying to make the previous government look dubious or what? This government must explain its suspicious position on the subsidy issue. Nigerians can no longer put up with ambiguities and deception. “Nigerians must question the sincerity of this government with regards to the removal of subsidy; Nigerians should ask President Buhari to tell them in clear terms at what ceiling of crude oil price, was it subsidy no longer necessary: at N87 or this new price regime? “For the records, we also wish to remind Nigerians of the insincerity of some members of the APC on the fuel subsidy claim while in the opposition. For instance, when oil fell to $66 per barrel in December 2014, the current Minister of Power, Works and Housing, Babatunde Fashola, who was the Governor of Lagos State then, said: ‘Now we should be enjoying cheap fuel if the price, of oil has dropped globally.